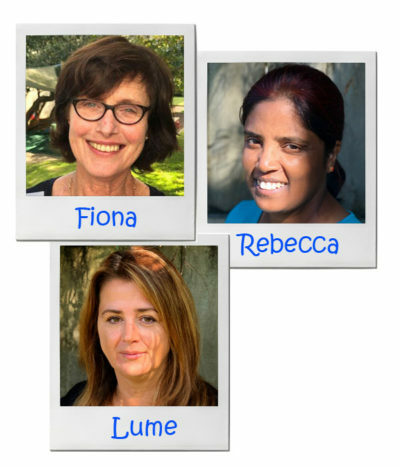 Fiona has 30 years+ early childhood teaching experience both in New Zealand and overseas. 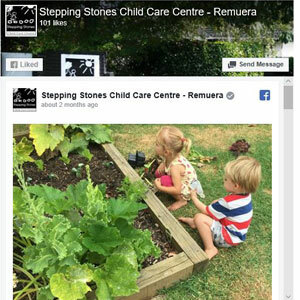 In 1995, she set up Stepping Stones Child Care Centre. She is brings to the centre and good blend of old and new values. A mother of three children herself, she has and continues to experience the real life joys and challenges of bringing up children. Parents recognise the value of the experience, knowledge, wisdom and good old common sense that she brings to bear on the early childhood development of their children. Fiona takes the good from the new thinking in early childhood development and carefully blends it with proven societal values and expectations. Rebecca is a fully qualified registered teacher and has been working in Early Childhood Education for 10 years. She is passionate about working with children and believes children thrive in an environment where they have the freedom to learn and explore in their own way. Each child is unique and special and she believes it is important that children are recognised and treated as individuals. Lume is originally from Kosova and has been living in New Zealand for 15 years. She holds a Certificate of Education in ECE Level 5. and has worked in the Early Childhood sector for five years . She lives in Orakei with her husband and my three children. Her goal is to provide a safe and nurturing environment where children can develop and grow to be confident learners.